Eldar Murtazin, an expert on Nokia, claims to know more about Nokia's current Windows Phone plans than anyone else outside the company. He's supposedly gotten an early hands-on with a prototype and tells us that there are two models currently in the works, according to the Russian website Habrahabr. The first is dubbed W7 (based on the Nokia X7 hardware) and the second is W8 (based on the Nokia N8 hardware). This is quite exciting given that both the X7 and N8 sport excellent hardware and should provide an excellent base for Microsoft's mobile operating system. Images of these devices (as well as specifications, price point, and release date) have yet to leak. There are already mockups of the W7 and the W8 being posted all over the Web, but don't be fooled: they're just the X7 and N8 with a WP7 screen photoshopped on top. The W7 model supposedly features an 8 megapixel autofocus camera plus flash, and is currently being used at Nokia for testing and development purposes. It will likely be the first to market. Murtazin says that the W7 reminded him of the HTC Mozart without any noticeable customizations to the OS. 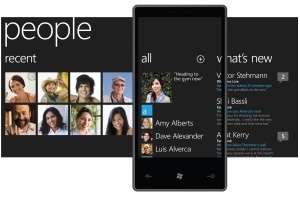 This is good news because WP7 really should not require any customization: it's excellent software already. All of Nokia's Windows Phone prototypes are powered by Qualcomm chipsets per Microsoft's requirements for Windows Phone 7. The W7 and W8 are the first of many in a long series of devices: Murtazin says that Nokia has a dozen Windows phones planed for 2012.